East Huntspill Parish Council approached Mant Leisure Ltd as they were looking for an inclusive piece of play equipment that was also accessible. The site had many spatial constraints when deciding which piece of kit can fit in amongst all other existing pieces paying specific attention to current safety standards and recommendations. As a result of these site constraints it was decided that the best location required additional pathways to easily access the new piece of play equipment. The council were introduced to CONIPAVE RA which is a rubberised surface with a decorative aggregate which when laid on a suitable subbase provides a free draining accessible pathway year round. 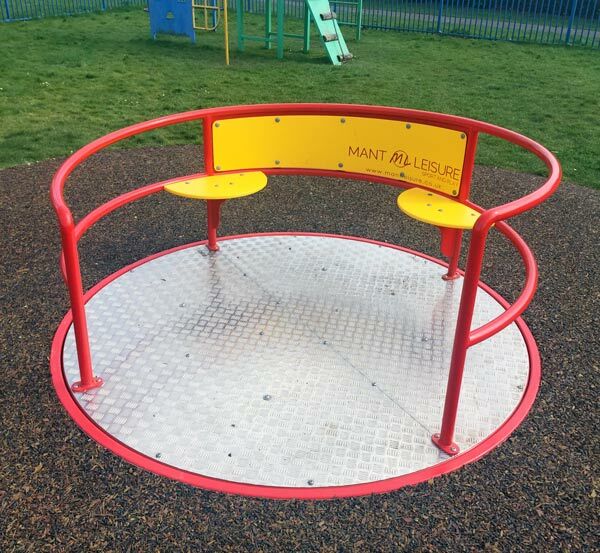 The Able Spin Inclusive Roundabout fit the bill as it was Equality Act Compliant with a roundabout deck surface that is flush with the play area surface and so wheelchairs can be pushed on without problem. The unit was also attractive to the council as it has maintenance hatches easily accessible for greasing offering a very easily maintainable piece of play equipment for years to come. The Able Spin Inclusive Roundabout encourages social interaction & teamwork whilst providing users with an exhilarating dynamic play experience. This pathway system was recommended by Mant Leisure Ltd and chosen by the council due to its interesting properties. The Black rubber granules and decorative aggregates are bound together with a specially formulated moisture curing polyurethane binder, to produce a firm playground surface with good grip and resilience. When constructed on a suitable base the surface is fully porous and meets the requirements for SUD’s (sustainable Urban Drainage Systems). The New Pathways have been designed to be wide enough for users to easily access the new piece of playground equipment but also link this new piece with the rest of the play area and the Multi Use Games Area offering a fully accessible play Park for all to enjoy. Water permeable system compliant with SUD’s (sustainable Urban Drainage Systems). Therefore no planning permissions required. When will the Roundabout be ready to use? Want to find out more about our playground design service? Click the link below.